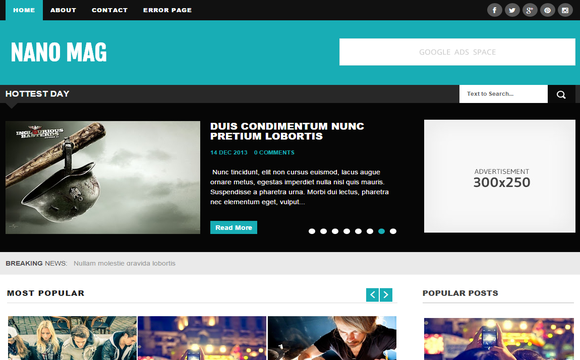 Nano Mag is a stylish magazine blogger template which has really great look and is perfect for your magazine, blog or news websites. 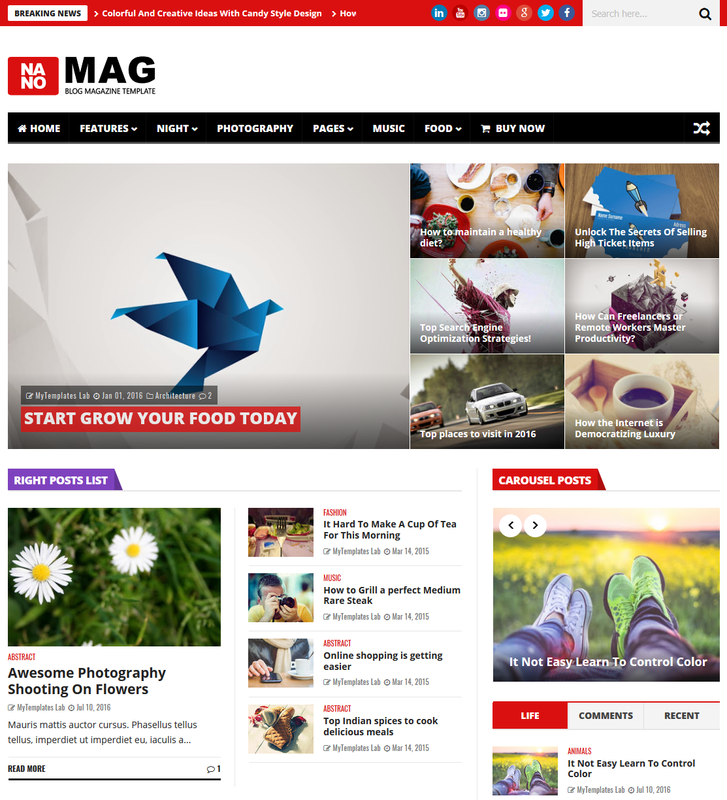 Nano Mag has been built by using some of the most popular current design trends. It encompasses some of the best open source technologies such as HTML5, CSS3 and jQuery and supports a multi-layout setup. It brings you ultra responsive design, which fits best on every screen size without any visual jerks and make your content visible on all devices.